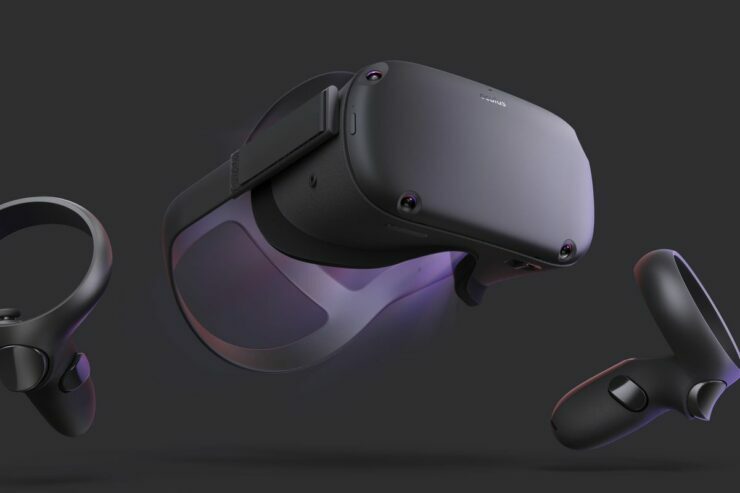 The Oculus Quest was the biggest announcement during Oculus Connect 5 yesterday. The standalone VR device will offer a middle ground between the existing Oculus Go and Oculus Rift devices. Priced at $399 and due in Spring 2019, it won’t need PC, wires or anything else to work. It will be powered by a Snapdragon 835 processor, according to Gizmodo. The Oculus Quest will have a line-up of over 50 compatible titles at launch, with more coming later including hit titles such as Moss, Robo Recall and The Climb. A brand new Star Wars VR series, Vader Immortal, was also announced to be coming to the Oculus Quest with its first episode in 2019. Vader Immortal: A Star Wars VR Series is being produced by ILMxLAB in partnership with Ninja Theory and it will be written by David S. Goyer, the renown screenwriter who worked on Batman Begins, The Dark Knight and The Dark Knight Rises. We always look for opportunities to explore the Star Wars universe in new ways. ILMxLAB is very excited to be working with David S. Goyer on a first-of-its-kind Star Wars experience which allows fans to travel to Darth Vader’s fiery, lava-ridden fortress and wield a lightsaber on his home turf. Whether it’s hearing Darth Vader’s breathing behind you and physically turning to face him in person or wielding a lightsaber with your own hands, Vader Immortal captures the ultimate wish fulfillment. Untethered VR immerses you in this universe and places you at the center of this amazing story. Our mission at ILMxLAB is to have fans ‘Step Inside Our Stories,’ and Vader Immortal represents a significant step forward in that ongoing quest. Our friends at Oculus share ILMxLAB’s ambition to bring compelling immersive narratives to life and using Oculus’ hardware, we will invite fans to experience Darth Vader as never before. As a lifelong Star Wars fan, working with ILMxLAB on an untold Vader story is a dream come true. The experience is designed to be ‘immersive first,’ meaning that from its inception, this 3-part series has been conceived and executed specifically for the VR medium. We’re breaking new ground with this project that places you, the user, at the center of the story. A bunch of new games were also confirmed for the Oculus Rift, including Ready at Dawn’s Lone Echo II and Echo Combat, Final Assault by Phaser Lock Interactive, and Defector by Twisted Pixel Games.